Lucas Shogren: I have been involved in music for many years. I started playing the cello in Moorhead, Minnesota when I was ten and had goals of becoming a professional cellist from an early age. Specifically, I wanted to be in a professional string quartet touring the world. In high school I started gigging more with professional orchestras, quartets, and bands. I went to the University of Minnesota for Music Performance and studied with the great cellist Tanya Remenikova. When I started college is when I really ramped up performing both classically and with other styles. After spending some time playing concerts in Italy I started living my dream and joined a professional quartet and started touring. 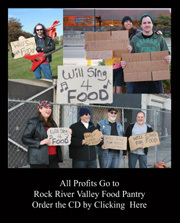 During this time I also played with dozens of bands and started recording in the Minneapolis area extensively. 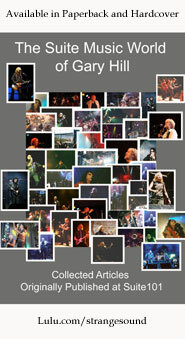 I was touring and playing around 200 plus concerts a year in various groups. During this time I fell in love with my now wife, Stephanie (the violinist in the band), and got married. After being married for a few years we had started making plans to start our family. I knew that for me personally, living on the road and raising a family was too much and decided to teach and focus my performing more locally in the Minneapolis, Minnesota area. During this career transition is when Clocks & Clouds started. We formed officially in 2009. All three of us went to the same church and were involved in the music ministry. I had this idea to perform a special instrumental song using a loop pedal and asking my wife to play violin, and asked Derek if he would play drums. The song we first played was a cover song and was the music used in the movie Requiem for a Dream. After we played the song and saw the response from people we knew that we had something unique and special. We decided to invest more time and efforts into seeing where this trio could go. We started writing original material and soon had enough to release our first EP. We did all the tracking ourselves and had it mixed by our good friend Matt Patrick at the Library Studios. While finishing up the record we decided to create a performance video and very soon this video started to get some good traction. We started playing some shows at local venues and were always were unsure of the response we’d get. We didn’t know if the average person wanted to listen to an hour of instrumental music. We have always been pleasantly surprised by the response of people of all ages. With a continued increase in requests we started working on our second EP. The only difference with this EP is we started doing everything in house. We wrote, recorded, mixed, and mastered everything ourselves. This EP really has had some really good success, and all three of us were very happy with the product. These two EPs have really reached a worldwide audience and we have had some great responses from people all over the world. Our concert schedule has increased, and we have been invited to play bigger and bigger shows around the country. We have published our music for licensing purposes and have seen some success in this arena. Derek and I have also worked as producers and mixing engineers for a few local projects. We have also invested time into writing and recording music that uses a wide variety of instrumentations. This past summer we released the single “Aliantha,” which was the first song to incorporate electronic sounds with the trio. We are starting the process of preparing for our third EP. We have been very blessed to be able to write these songs, perform all over the country, and to be able to do it with great people. Derek Powers: I was musical at a young age. I played trumpet in middle and high school. But my real passion was guitar and drums. I dinked around on anything i could find and recorded whenever and wherever I could. I played in multiple bands filling whichever role was needed. There were always more guitar players than drummers so i usually played drums. When in college, i joined up with some childhood friends and joined the band The Envy Corps. We were pretty big into the brit/indie pop scene in the Midwest at the time. I played with them for three years, recorded a couple of records and did some significant touring. I moved to Minneapolis with my wife and son in 2006 and hooked up with a close friend to form the duo Sant Elia which was a electro/pop outfit of the likes of The Postal Service and the Notwist. I actually got to play with Luke at a Sant Elia show that he was gracious enough to play at with us. I was sure he hated it as the show was terrible, but for some reason he came to me with the idea of the Requiem cover later on. I was rather intrigued by the idea, but i really thought it would just be a one and done type thing. None of us thought it would catch on like it did. Since that first performance, we’ve done so many shows that we were convinced we would not be able to sell the crowd on our music. However, the formula that is Clocks & Clouds appears to really be able to cross the demographics quite effectively. Stephanie Shogren: I began playing violin at the age of three with the Suzuki Method. I had begged my Mom to let me play violin, and she finally realized I wasn’t going to stop asking so signed me up for lessons! I loved playing all growing up and decided to major in Violin Performance when I went to college at the University of Minnesota. It was there that I met and fell in love with Luke, after being randomly paired together in a chamber music ensemble. It was through him that I really began exploring different music styles using the violin and got involved with playing in many different rock bands. After adding strings to other people’s music, we just thought it would be really fun to have the strings be the main feature of songs, hence the beginning of Clocks and Clouds. I love being able to do this band with my husband and Derek and his wife are very close friends of ours, so it just makes it all the better. Derek Powers: I’m currently in logistics full time, but music is by far my biggest passion outside of my family. If the stars align to allow Clocks & Clouds to be a full-time pursuit, that’d be amazing. I’d love to do what we do in C&C for a living if we could afford it and have our families with us. Lucas Shogren: I really have a passion for teaching and is something that I do while being in Clocks & Clouds. I love inspiring kids. We as a band have often gone into schools when the opportunity arises and it’s really my favorite performances. I would probably invest more of my time into music education as a composer, conductor, and teacher. Stephanie Shogren: When I’m not doing music, I’m a stay at home Mom of three wonderful boys, ages five, three and one. If I weren’t involved in music at all, I would probably be solely focused on being mom to them and wife to Luke. It’s hard to imagine my life without any time dedicated to music, as I currently perform, teach, and serve in the music ministry at our church. It truly permeates every aspect of my life. Lucas Shogren: There was a piece composed by the Hungarian composer Gyorgy Ligeti called "Clocks & Clouds (1972-73)". Ligeti was creating some of the first minimalism music in the 60s and wrote this really interesting piece. Although his piece and concept of clocks and clouds is used differently in his music, we figure that we have a lot of driving rhythmical elements that represent clocks, and we have soaring melodies on top of it that represent the clouds. Lucas Shogren; Growing up all I listened to was classical music. My favorite composers where Beethoven, Shostakovich, Tchaikovsky, Brahms, Prokofiev. I am a music geek to the core. I specifically was always connected to pieces that had really strong melodies. This element of having strong and somewhat simple melodies has been a key feature in our music. We want melodies that are very accessible to people while at the same time having complexity that keeps the listener engaged. Outside of classical music my favorite bands would include Muse, Dave Matthews Band, Radiohead, Explosion in the Sky, Sigur Ros. Lucas Shogren: Currently we are focusing on writing new material and starting the process of starting our third EP. We have some really nice concerts coming up this year, but are trying to limit our performances so we can invest as much time as possible on writing. We are also wanting to start the process of releasing a new performance video, but will want to wait until we have all the songs written out to see if one sticks out. Lucas Shogren: This has always been a tough question. We never know where people would put a group that consists of a violin, cello, and drums. Whenever we step out onto a stage the audience gives us a very confused look. They have no idea what this is going to be until we play the first song. We always describe our music to people as classical meets rock. I would say we probably fit into the genre post-rock the most. Derek Powers: I think we enjoy the fact that we don’t necessarily fit into a particular genre and kind of straddle multiple categories. Having the instrumentation we do, it’s fun to turn the tables and ask people to define us. The answers are interesting. Lucas Shogren: I don’t have too many dreams of musicians to play with. I think it would be fun to collaborate writing music with a lot of people to just inspire and bounce ideas off of. I think I would be more interested to collaborate with different producers to see where they would take our music. Derek Powers: I would enjoy working with some folks in some form of the EDM movement. I think as a drummer, I’m always wanting to see new ways of adding texture with new percussive elements. I don’t have one person per se, but i’d be open to a collaboration. Lucas Shogren: This is a difficult question. As an artist I have a huge goal of having as many people listen to my music as possible. However, we aren’t making millions of dollars doing what we are doing, and the money we make is what allows us to keep going. My preference is that there are so many places you can listen to our music for free or close to free like spotify or youtube that I would encourage people to listen to our music there and hopefully if they feel inspired to buy our music to support us. Lucas Shogren: I have no problem with this. As a Dave Matthews fan, these are often the best way to listen to this band. There are some artists that live shows are way more exciting than their studio records. Derek Powers: Pearl Jam did a tour back in the 90s where they recorded a live bootleg of every show and released them as the tour went on. Granted this is the band and the label making the call, but I bought, like eight of these and loved all of them. It wouldn’t have been much different for me if it had been a fan doing it instead of the label. Derek Powers: I’m a product of the 90s so all the grunge and Brit pop stuff was my bread and butter. I would love to be in a rehearsal with Jimmy Chamberlin of the Smashing Pumpkins, Johnny Greenwood of Radiohead and any of the guys from the band Hum. These guys are my primary influences and made such an impact on my playing. Lucas Shogren: I would say the ultimate band would Freddie Mercury on lead vocals, Matthew Bellamy and Jack White on guitar, Victor Wooten on bass, Carter Beauford on drums, and all of this would be co-produced by Nigel Godrich and Steve Lillywhite. This would an awful experiment and they would never get along, but the music would be crazy. Derek Powers: I got to see Lollapalooza back in 1996 when Soundgarden, The Ramones, Rancid, Beth Hart and Metallica were there. It’s been burned into my mind and was an amazing experience. I feel like today it would be really memorable to see a lineup similar to this because a lot of these guys are still around and making good music and performing at a high level. Lucas Shogren: The music festival I would put together wouldn’t make any sense, and the budget would be incredible, it would just be musicians I would want to see play live. It would include Dave Matthew Band, Muse, Explosions in the Sky, Wilco, The Flaming Lips, and Bon Iver. This would be a great festival, and someone should totally make this happen. Derek Powers: I liked the last Muse record a lot and have devoured their library. I, also, have been trying to concentrate on the electronic genre along with Luke here, as of late. Lucas Shogren: I really liked the last Alt-J album. I have been listening to more electronic music lately to study it as we start using it more and more in our production. I also never got on the Bon Iver bandwagon when he first came out, but I recently purchased a few of his CDs and really enjoyed hearing the production and songwriting on his music. Derek Powers: I read Jim Gaffigan’s Dad is Fat. Not exactly a classic, but a real page turner. Usually my literary selections are limited to Curious George and I Spy as my boys are at the age where they consume anything we put in front of them. Stephanie Shogren: I recently read Ender’s Game for the first time and really liked it. I gravitate toward sci-fi fantasy reads so it was right up my alley. Derek Powers: I went to a local show with a friend to see a local band, Grey Coats. The bass player is our friend Matt Patrick who we’ve utilized to produce and mix material for us. I love those guys and what they’re doing. I think they’re probably one of the best bands in the Minneapolis area right now. Lucas Shogren: I don’t have a ton of songs that I would feel guilty to show people. I guess a lot of people would consider all the classical music I listen to pretty abnormal. Sometimes pop songs can be so catchy that I end up singing and I wish I wasn’t, but truth be told I wouldn’t be that embarrassed for people to know that I enjoy a Taylor Swift song every now and again. Stephanie Shogren: My guilty pleasure is country music. If I want to put myself in a good mood I put in an old Tim McGraw or Dixie Chicks record and sing really loud. Lucas Shogren: We have played a lot of very different venues from theaters, clubs, concert halls, bars, schools, and everything in between. We label ourselves as “classical meets rock.” Sometimes a classical chamber music series has hired us to try to get young people into their concert series. We usually jump at these opportunities and it’s a great deal of fun to play for this different type of crowd. Sometimes classical concert series don’t know how to accommodate for our sound needs since this is not typical. This one concert we played we arrived thinking we were playing in a bigger place and we weren’t. The concert organizer was very nervous that the drums were too loud for the room and the type of people going to be in attendance. We had a drum shield up but that wasn’t soft enough. We started taping up the drums and cymbals, using different sticks, asking Derek (our drummer) to basically play as quiet as possible. When this wasn’t working we decided to try to make a cage for the drum to hold the sound in even more. We put a table on top of the drum shield. We found some decorative quilts in a backroom and continued to make a fort for the drums. It was pretty ridiculous sight, but it did the trick and the concert went very well, drum fort and all. Lucas Shogren: I would choose Mark Twain, Abraham Lincoln, and Shostakovich. I think I could get some really interesting conversation from all three. Lucas Shogren: We would eat Chipotle and everyone would have a great time discussing life while eating an amazing burrito. 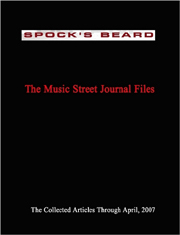 This interview is available in book format (hardcover and paperback) in Music Street Journal: 2014 Volume 6 at lulu.com/strangesound.